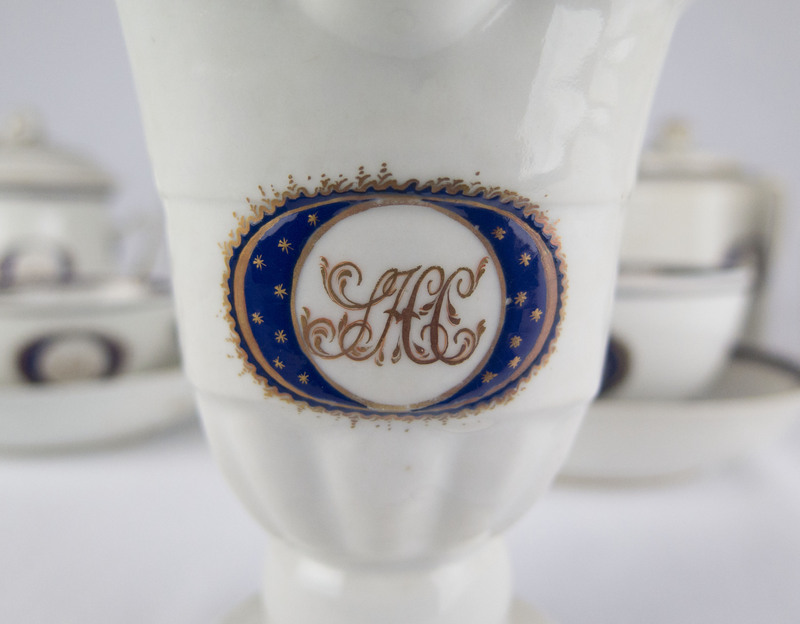 Over the years, six individuals have donated twenty-three pieces from the Chinese export porcelain services that Revolutionary War veteran Colonel Thomas Carpenter III (1733–1807) had commissioned in January 1792 for each of his four sons. 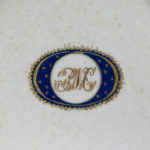 During this period of the Old China Trade (which began in 1784), the Chinese began to decorate porcelain specifically for the American market, using Western motifs like the cobalt and gilt star design seen here. The partial collection includes a tea caddy, two teapots, two helmet pitchers that when turned upside down become candlesticks, a sugar bowl, six tea bowls and saucers, three plates, and two bowls. 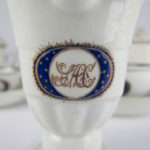 Each hand painted item contains a son’s monogram in the center. The Museum has pieces from two of the services: those owned by Stephen (b. 1765) and Peter (1773–1814). Thomas (1758–1837) and James (1767–1812) were also given sets. Colonel Carpenter was one of Rehoboth’s most prominent and prosperous citizens during the Revolutionary period. Before and after the war, he amassed and farmed large tracts of land in the center and northeast sections of town, worked as a surveyor, and was active in town affairs. During the conflict, he became renowned locally for leading a regiment that saw fighting near White Plains, New York, and Newport, Rhode Island. 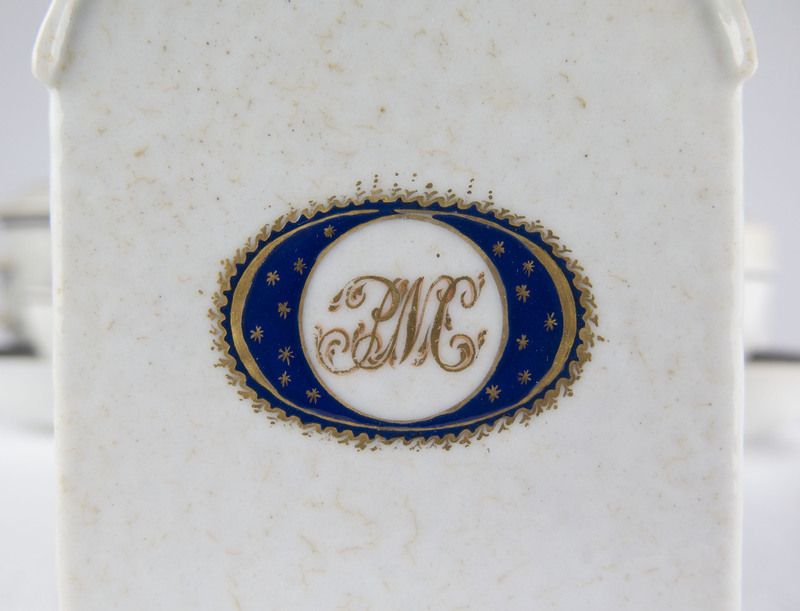 His wealth and prestige are symbolized in the monogrammed porcelain services he purchased from Canton—only the affluent had the means to special order personalized china at this time.